Cue the wistful music before starting the video rolling and many dog lovers just see what they want to see in a video making the internet rounds. When you accompany sweet music with an overlay of words meant to convey what you want people to see, as long as the opposite isn’t glaringly obvious to the average dog parent, you will have hooked your target audience and you are well on your way to a viral video. Unfortunately, the majority of the world, even the die hard dog lover’s world, doesn’t know as much about dog body language as would be wise or more helpful. Add bad information readily available on so many internet sites and even worse, on mainstream TV, with the star basically waiving a magic wand to fix scary dog behavior. What you get with that combination is the recipe for a disaster in so many ways that I cannot even count. What prompted this blog post was starting my day on Facebook several weeks ago with someone sharing a video taken by a “rescue group” showing a scared and flooded dog in a yard with other dogs who were obviously friendly. 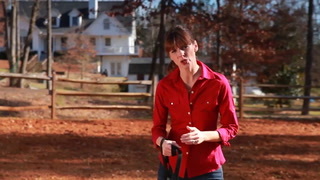 The rescuer had the poor scared dog on a leash wearing both a shock collar and a muzzle. The music was themed to melt hearts and the words were trying to lead us to believe that this “formerly” dog aggressive dog was now “cured” of that problem. What I saw was not a friendly cured dog. With his tail curled completely under his body and the tense body language of a dog in a most terrifying situation, what I saw was a dog with no recourse, being forced to be the star of his worst nightmare. Think about that situation being repeated with other dogs, with the potential for a shock being the result of a protest from this poor dog. What happens when a dog that endured this, is placed in a home with another dog, where he isn’t wearing a shock collar 24/7 and he now has a choice of how he acts? I think we can all guess that next step. I know what my next step would be. The best defense is a strong offense, as they say. Unfortunately, the dog rescue world is rampant with people who want to save them all, regardless of whether a dog is ready for placement. Lengthy stays cost money and money is a resource in short supply in most rescue and shelter coffers. So the push to place, place, place is heavy at best. Faster placement means faster turnaround and faster turnaround means more adoption fees. Oh, money is not what all rescues who are operating without dog behavior knowledge are after, but there are enough that place fees at the top of their list to make the rest look bad. Flippers are not limited to cars and houses. Dogs are flipped as well with none so rapidly as puppies. Socialization is limited or non-existent and vet care is minimal at best. Altering is rare in some cases, with the excuse that the puppy is too young and/or the promise of a partial refund if you alter the puppy yourself at the proper age. Good luck with that refund when that time comes though if the rescue in question is even still in “business”. Of course, there are many potential areas of irresponsibly done dog rescue that can be addressed but none is so dangerous to both the dogs in their care and the public at large, as problematic behavior addressed with old fashioned punitive based methods. Sadly, in the world of dog rescue, these are the methods that many rescues look to for their solutions. Reasons vary from long held beliefs, to the afore mentioned popular TV shows that showcase methods best left in the past, to the simple lack of knowledge or resources for more modern methods. And then there is also the scariest reason of all. The self-proclaimed dog behavior “expert” who has a dog, who has watched a TV show and maybe even taken a training class or two, who decides that knowledge permits them to fiddle with the minds of dogs who need real help. This article addresses that syndrome more fully. Rescues who want to make faster placements look for very quick results which are evident to the public at large whose understanding of dog behavior is not on a professional level. 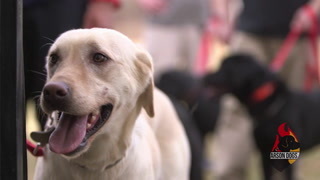 For them, fixing problem behavior has to be fast and it has to be showy so that a dog can quickly be placed with as few limitations as possible. Never mind that suppressing behavior in the moment will likely not maintain results outside of the suppressed environment. Why let a little thing like science get in the way of results? Of course, as noted, not everyone who takes the fast and showy route does it out of a desire to short the dog of the appropriate help. Many rescuers just don’t know any better. One that falls in that category filmed an obviously very kind woman who visited rescue dogs in their facility, bringing them her homemade biscuits. One very frightened little dog was not interested in interacting with this kind woman. Instead of tossing the biscuit to the dog where he was laying, she chased him around the enclosure repeatedly trying to hand the dog the biscuit directly. Those who pointed out the fear factor of this poor misunderstood dog were accused of being rude to the woman who “ just wanted to help”. But if we really just want to help the dogs, shouldn’t it BE about the dogs rather than about the humans? Refusing to understand another being just so that you can accomplish YOUR own purpose doesn’t benefit the dog in question. Other rescuers do know better and deliberately choose the more “dominant” position because “that’s how we have always done it”. There is no phrase more dangerous than that one. Modern scientific methods show so much more success with dogs, with the emphasis being on kindness, understanding and respect. Humans want respect. Why shouldn’t we also respect dogs by giving them the opportunity to learn how they learn best? Perhaps the worst part of the equation when rescues use outdated training methods on the dogs entrusted to their care, is that these old school methods do little to facilitate trust in humans. In fact, quite the opposite is true. A dog that has had needs that have been previously unmet finds himself in a situation where SOME of his hierarchies of needs are now being met. So his guard wants to come down but the interactions with humans who are practicing antiquated training methods are fraught with contradictions and misunderstandings. How is a dog who has learned not to trust humans, going to start doing so if said humans are using pain and intimidation to “train” his behavior issues away? Think about that for a while! There is also another very notable organization that takes the proper behavior modification techniques a step further. Known for focusing on dogs who have been mislabeled in a shelter environment as either dog or human aggressive or both, Steffen Baldwin of ACT Ohio takes these dogs into his home one by one and works his magic. Lest you think I am changing my stance on not rescuing “aggressive” dogs when so many nice dogs are in danger, Steffen focuses on mislabeled dogs meaning misunderstood dogs with no horrible history of injuries. Just a history of ending up at the wrong place and the wrong time while running out of time. He truly is a hero to these dogs. Read more about what he does here. One more subject that I want to touch on that someone will inevitably mention is the fallacy that “some dogs/breeds need a firmer hand” and also the ever popular “there is no one size fits all”. Hogwash and hogwash. Modern methods don’t mean that you use the same strategy on each dog. They rely on the expectation that the person utilizing the modern methods do a little work to see which way of implementing rewards based behavior modification would work best for each dog. As far as the different breeds/different needs argument, this article explains that subject best. The obvious proof that modern scientific methods works and work well, should be enough for rescue groups to take notice and upgrade the methods they choose to use. Not only is rewards based behavior modification more effective, it’s less expensive. No need for fancy electronic gadgets to buy which means more adoption fees that have less supplies to pay for. So step into the future with me while I educate you on appropriate behavior modification applications in a shelter and rescue environment. If even one person in this setting learns a better way, then I will have achieved my purpose. Below are resources for both rescue groups and shelter employees/volunteers to access at no charge. Be the change. When you participate in rescuing a dog, vow to truly help that dog’s life change for the better, not just for the moment. Together, we CAN do this. Victoria Stilwell Positively - lots of great free articles!